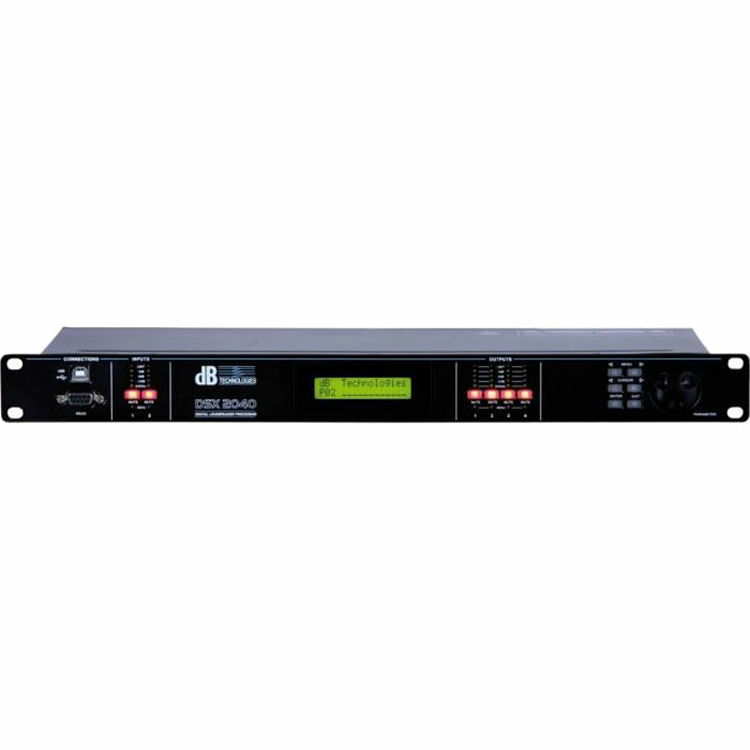 The DSX 2040 2 in 4 Digital Controller from dBTechnologies is a digital loudspeaker management system suitable for use in mobile racks as well as for fixed installation. 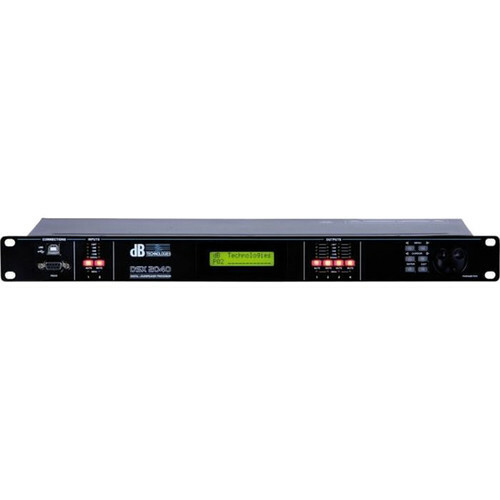 With two inputs and four outputs, this controller can be used with any two-way active stereo systems made up of subwoofers and mid- / high-range units. An extensive set of signal processing tools such as input compressors, delays, 31-band graphic input EQ, and six parametric EQs for each output lets you tune speaker systems with surgical precision to suit the given venue and operating conditions. Inputs and outputs can be routed in multiple configurations to meet any requirement. Each output also features a precision-tunable digital limiter to protect speaker components. The DSX 2040 Controller can be controlled or configured in real time via the front panel push-buttons or with the intuitive PC GUI accessed via the RS-232 or USB interface. The 2 x 16 character backlit LCD display and LED level meters above each input and output allow you to monitor the unit's performance. With the benefit of controller software, you can easily create presets for dBTechnologies speakers, as well as custom configurations, and load these programs to the controller. Software upgrades for CPU and DSP via PC keep the device current with newly developed algorithms and functions.